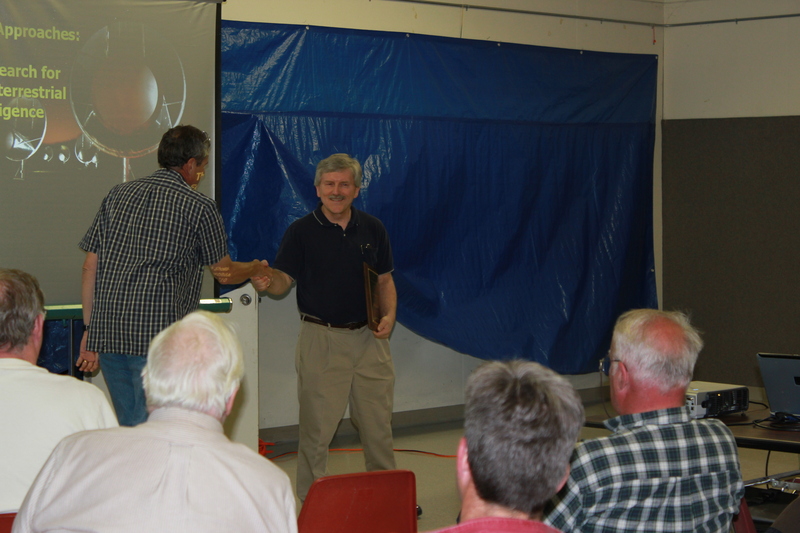 The August General Meeting was a special one for the SJAA. The Gregory Award was given to Gary Mitchell for the many things he has done for the club and the community. Of particular note is the many hours Gary has spent at the school star parties. 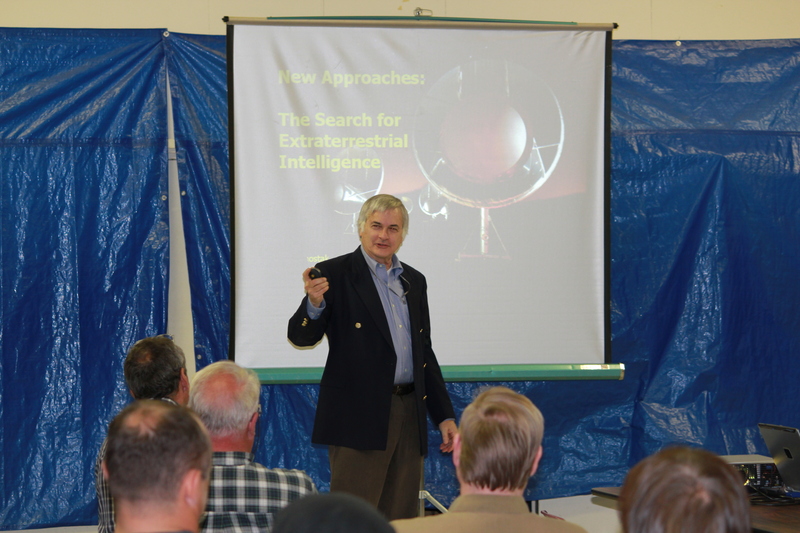 At the same meeting, one of most popular astronomers stopped by to give us a talk on innovative ways to search for extraterrestrial intelligence. 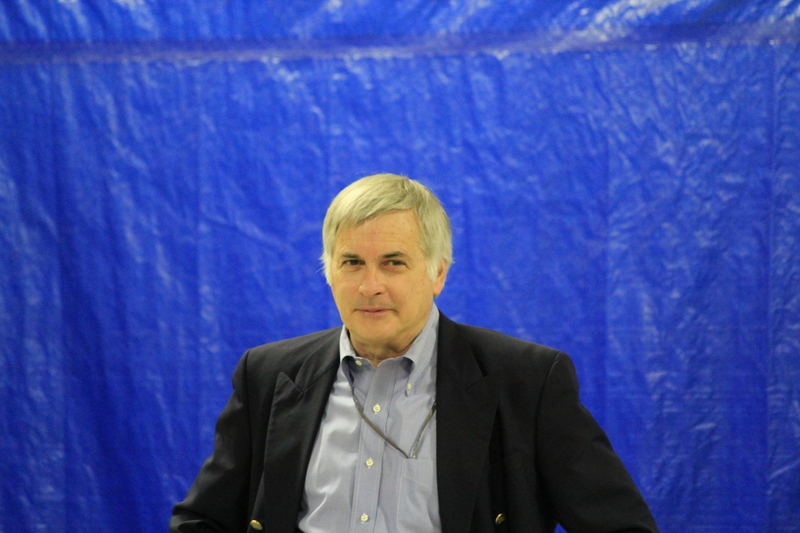 Seth Shostak was our speaker. Seth is a senior astronomer at the SETI Institute, the author of several books and articles about SETI and he has his own radio show/podcast called “Are We Alone”. 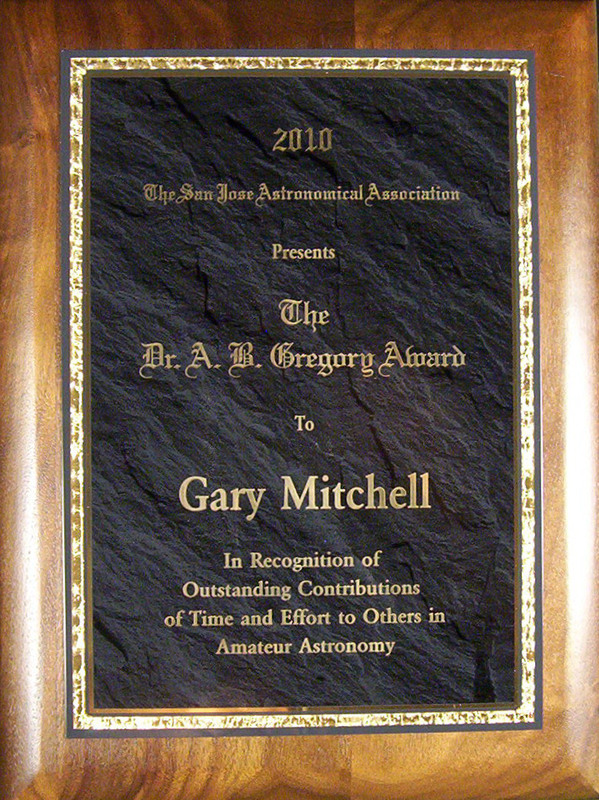 Photos in from top to bottom: The Gregory Award plaque (photo courtesy of Gary Mitchell), Gary Mitchell receiving the award from Greg Claytor, Seth Shostak answering a question about possible alien communications, Seth - an accomplished photographer - wondering who is taking his picture now (your editor).